This program is read by the author. 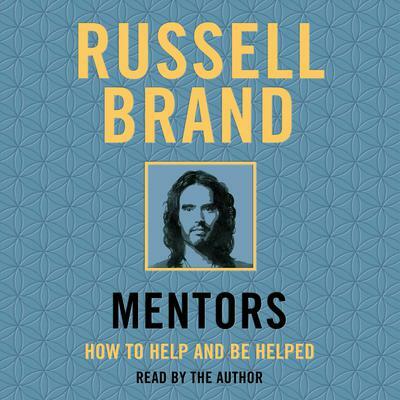 Russell Brand explores the idea of mentoring and shares what he's learned from the guidance of his own helpers, heroes and mentors. Could happiness lie in helping others and being open to accepting help yourself? 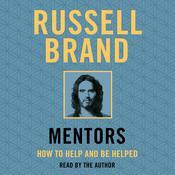 Mentors – the follow up to the New York Times bestseller Recovery – describes the benefits of seeking and offering help. "I have mentors in every area of my life, as a comic, a dad, a recovering drug addict, a spiritual being and as a man who believes that we, as individuals and the great globe itself, are works in progress and that through a chain of mentorship we can improve individually and globally, together . . . One of the unexpected advantages my drug addiction granted is that the process of recovery that I practise includes a mentorship tradition. "I will encourage you to find mentors of your own and explain how you may better use the ones you already have. Furthermore, I will tell you about my experiences mentoring others and how invaluable that has been on my ongoing journey to self-acceptance and how it has helped me to transform from a bewildered and volatile vagabond to a (mostly) present and (usually) focussed husband and father. 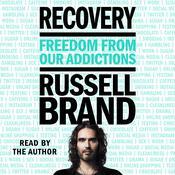 "—Russell Brand Mentors: How to Help and Be Helped describes the impact that a series of significant people have had on the author – from the wayward youths he tried to emulate growing up in Essex, through the first ex-junkie sage, to the people he turns to today to help him be a better father. It explores how we all – consciously and unconsciously – choose guides, mentors and heroes throughout our lives and examines the new perspectives they can bring. 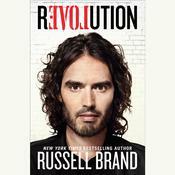 Russell Brand is an English comedian, actor, radio host, activist, and author of several bestselling books, including New York Times bestsellers. He has had a number of major film roles, including parts in Forgetting Sarah Marshall and Get Him to the Greek. He has won sevefal awards, including Time Out’s Comedian of the Year, Best Newcomer at the British Comedy Awards, Best TV Performer at the Broadcasting Press Guild Awards, and Most Stylish Man at GQ’s Men of the Year Awards. In 2012, he was selected by the Dalai Lama to host the Buddhist leader’s youth event in Manchester, England. With funds from his profits from Revolution, he opened a nonprofit coffee house in London run as a social enterprise by former drug addicts in abstinence-based recovery programs.